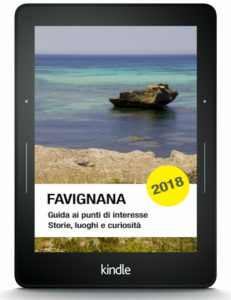 This chapter belongs to the book “Favignana – A guide to places of interest (stories, places, curiosities)“, available in english on Amazon. The epic story of Florio and the tuna industry is the story that has influenced the recent past of the island. The Florio were a family of Sicilian industrial with Calabrian origins, that at the end of ‘800 built a business empire, both commercial and industrial. They arrived at Favignana in 1841 with Vincenzo Florio, he was 42 years old, he was married and had three children. He was already a successful businessman, and had smelled a possible deal in tuna fishing, so he rented the tuna traps of Favignana and Formica by the Pallavicino family, who had received them from the Bourbons two centuries earlier. Man of great enthusiasm, Vincenzo applied himself to improve fishing and invented the montaleva, a mechanism by which you can fish for tuna entered the net in dribs and drabs, as they end up in the trap, without having to wait for entire herds. He introduced the use of oil to conserve the tuna and ship in in cans throughout Italy. He realized that the tuna could be the sea pork and taught also to use its parts that before were threw away, arriving to produce glue and fertilizer from the last scraps. A handy man with clear ideas. However, even if good at business, at the expiration of the contract he failed to renew it with Pallavicino, so the trap went to the entrepreneur Giulio Drago from Genoa, who continued the development of the industry on the path traced by Vincenzo and built the first block of the factory buildings at the current position (before they were on the other side, close to the village). When Vincent (Vincenzo) died at age 69, after becoming a senator of the newborn Italian kingdom, his son Ignazio was already at the helm of the family business: there were ferries, wine, cotton, tobacco, mining and, of course, he wanted to retrieve the tunas. A few years later he had a good chance when the last Pallavicino died and the heirs, searching for money, put on sale the Favignana’s traps. Ignazio does not let out the deal and bought along with the Egadi, for 2,700,000 lires. Ignazio was only 36, it was 1874. Since then, the tuna industry and the canning process really took off and the island made a leap forward, knowing an industrial development that we can compare to that of Falcks in Sesto San Giovanni or the Crespis from Crespi d’Adda: in practice a town flourished around an industry, the population increased, the work grew and the village became a small town. Ignazio Florio was so important to the island because he radically transformed it, Favignana became one of the most important Sicilian industrial in the XIX century, a true symbol of excellence. The favignanesi went to the factory where they worked both the tuna caught here and other fishes, the canned fish under oil were marketed throughout Italy directly with the ships of the Florio fleet. The owner of the factory, Ignazio Florio, was then considered a benefactor, and this industry brought wages and welfare for many, just as it did in Northern Italy, the first trade unions, before class struggles. Therefore, there was a true industrial reality. For all this factors Ignazio Florio earned the statue that is in Piazza Europa in front of the town offices. Ignazio also became a senator of the Italian kingdom in 1883 and, like his father, left the command of his son who, to complicate our lives, was also named Ignazio Florio. To distinguish between father and son it was added the Senior and Junior title at the first to the second. Ignazio Senior died in 1891 leaving an immense fortune to his three children Ignazio Junior, Giulia and Vincenzo. Ignazio Florio Junior and his brother Vincenzo are the third generation – alas! If you do not know, there is an unwritten rule in entrepreneurial stories saying that the first generation is the one that creates and forms the company, the second is the one that consolidated and fully affirms, while the third is that which destroys and wastes. Ignazio Junior and his brother Vincenzo, either for their mistakes or unfortunate historical conjunctures, lost everything. However, at least at the beginning, they enjoyed a lot. Vincenzo loved cars, and Junior was a spendthrift who loved luxury and the good life. 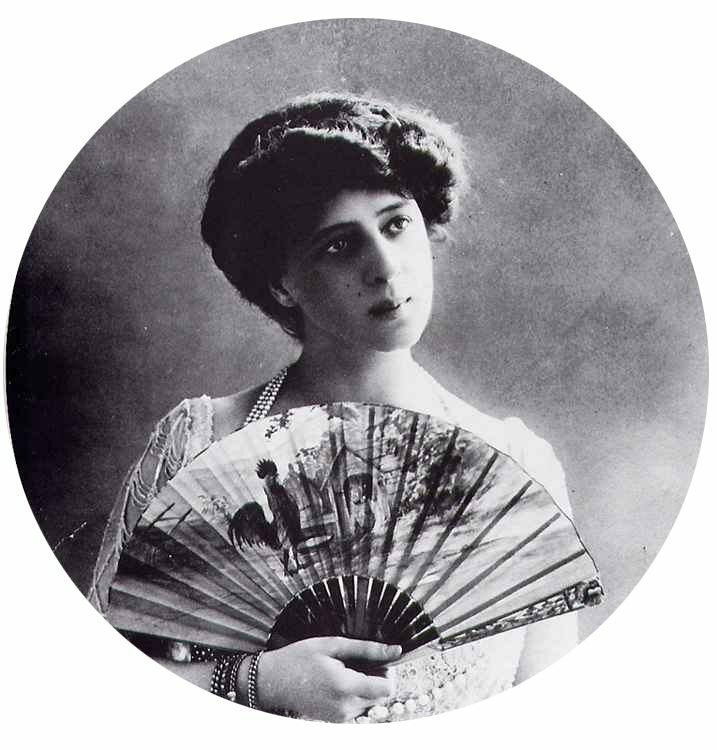 The latter married Franca Jacona from San Giuliano, cultured and charming girl, dark complexion and green eyes, called by all Donna Franca and also called the Queen of Sicily. Kaiser Wilhelm II nicknamed her “Star of Italy“, and Gabriele D’Annunzio called her “the One“. A great lady, beautiful and intelligent, but nevertheless Junior ended up betraying her several times and each time, to be forgiven, he donated her precious jewels, among them there is a famous necklace of pearls seven meters long. Despite this stormy relationship with her husband, Donna Franca was quite important in the family business, establishing relationships and cultivating friendships, she did networking, as we say today. So Favignana, particularly during the period of mattanzawhen the Florios came with friends and guests to show the capture of tunas, it became a coveted and important lounge. 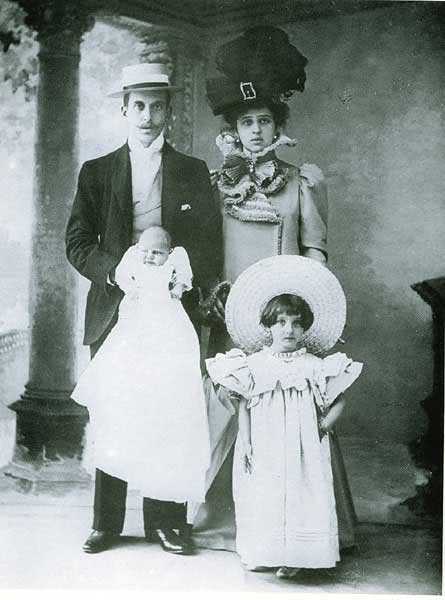 Donna Franca with her husband, Ignazio Florio Junior and the first two children: Giovanna and the little Ignazio, said Baby Boy, both destined to die young. With Junior and Donna Franca Sicily was the center of the European elite, but a series of personal misfortunes struck them: their first daughter, Giovanna, died of meningitis at age 9 in 1902, the year after their only son nicknamed baby boy died inexplicably at 5 years and another female newborn daughter died. Costanza Igea and Giulia survived. There was also a negative trend of the story: the economic depression of the end ‘800, the indebtedness of family businesses, the First World War and the shift to the North of Italy of the economic activities. All this, together with Ignazio wastefulness, led to the financial collapse and the decline of Florio. In 1937 he sold off the grant and traps of Egadi to the Parodi family from Genoa and after selling all their possessions to pay their debts, including Donna Franca jewelry, they left the scene and died far away from the chronicles in the 50’s. Vincenzo Florio, Ignazio Senior and Ignazio Junior. Three generations.